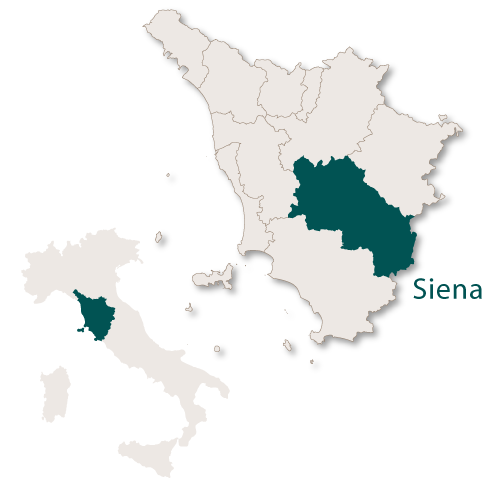 The province of Siena covers and area of 3,820.98 sq.km. 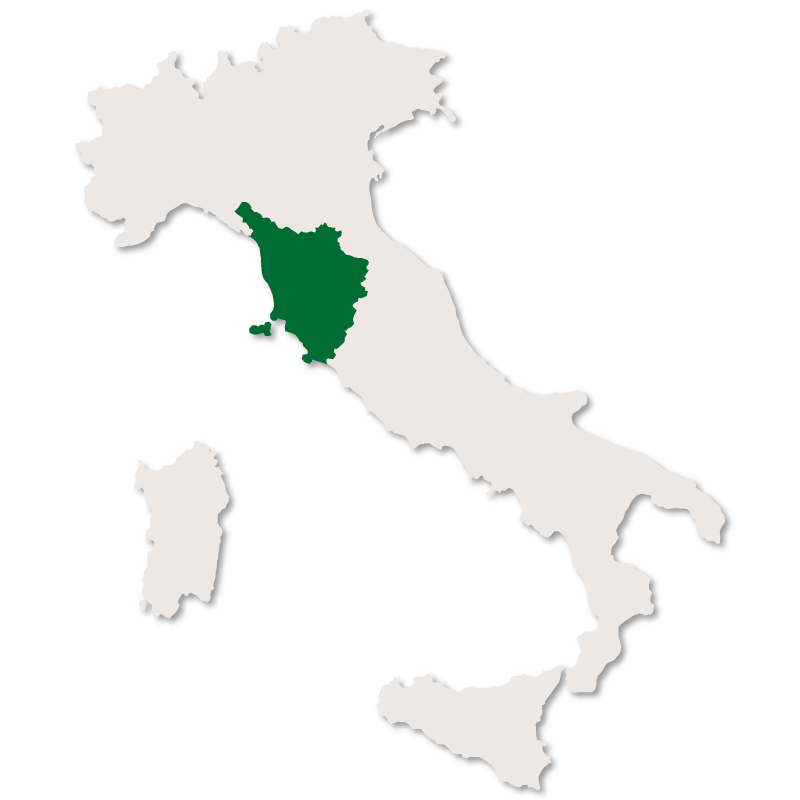 It is bordered to the north by the province of Florence, to the north east by the province of Arezzo, to the south east by the region of Umbria, to the south by the region of Lazio, to the south west by the province of Grosseto and to the west by the province of Pisa. 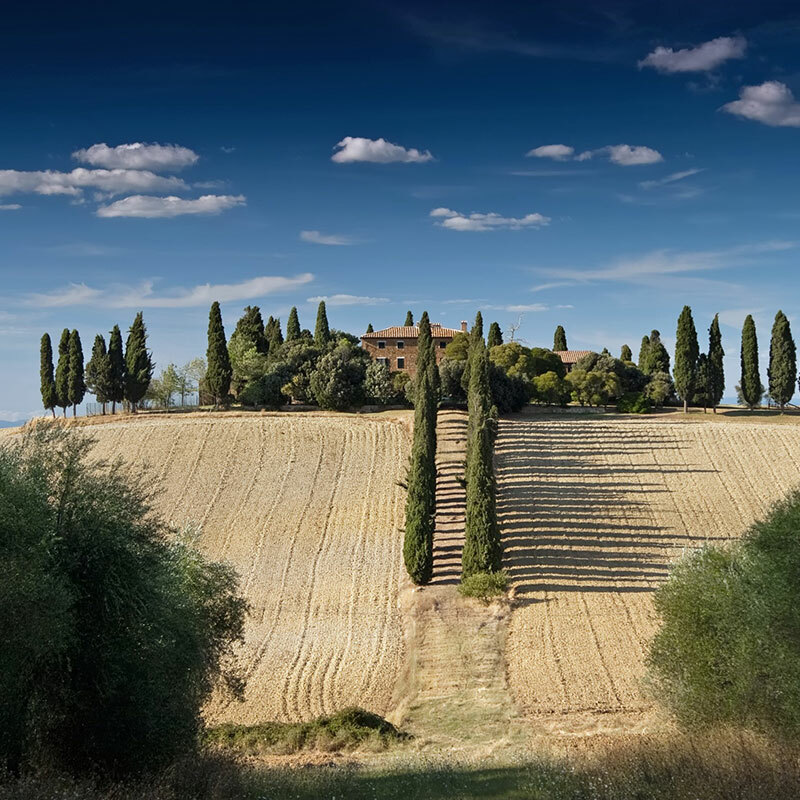 It is hilly and mountainous with the highest peak being Monte Amiata at 1,738 metres and is famous for the Chianti wine it produces. 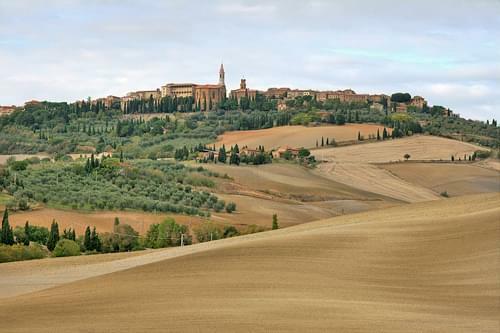 Pienza is a large town located in the beautiful countryside of the Val d'Orcia. 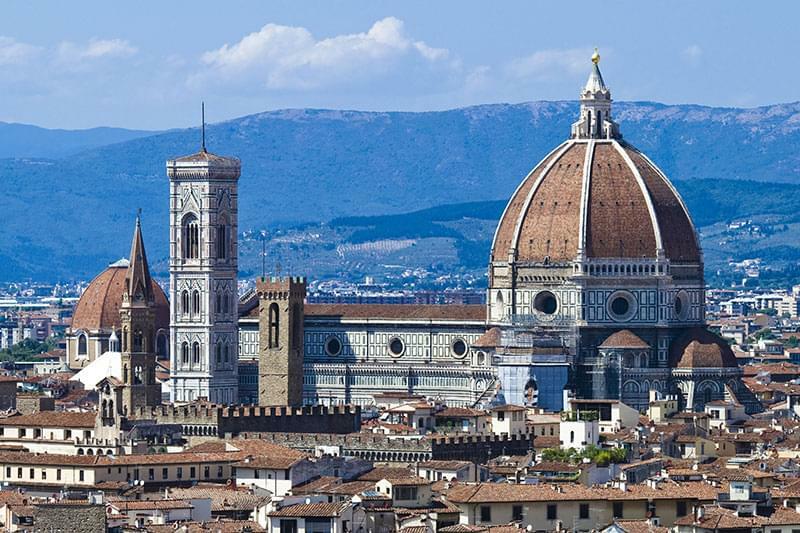 The town is such a wonderful example of Renaissance urbanism that it became a UNESCO World Heritage Site in 1996. The Cathedral which has a very early Renaissance facade. Palazzo Piccolomini is three stories high with an internal courtyard. Palazzo Comunale which always was, and still is, the Town Hall. This is a small, walled, medieval town set on a hilltop which is famous for its medieval architecture and beautifully preserved towers. 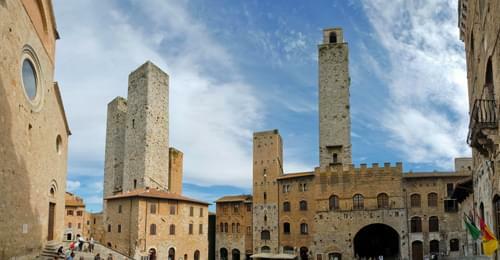 There are fourteen of these towers which has given San Gimignano its well deserved nickname, 'The Town of Fine Towers'. The Historic centre of the town is a UNESCO World Heritage Site. The main square in the centre is Piazza della Cisterna which is actually triangular in shape and has a well in the middle which was once the water source for the residents of the town. The edges of this piazza are lined by medieval houses, many of which are excellent examples of Romanesque and Gothic architecture. The second most important square is the Piazza Duomo although the town of San Gimignano does not actually have a Cathedral. This square has, among other buildings around its edges, the Palazzo Comunale and the Palazzo Podesta. 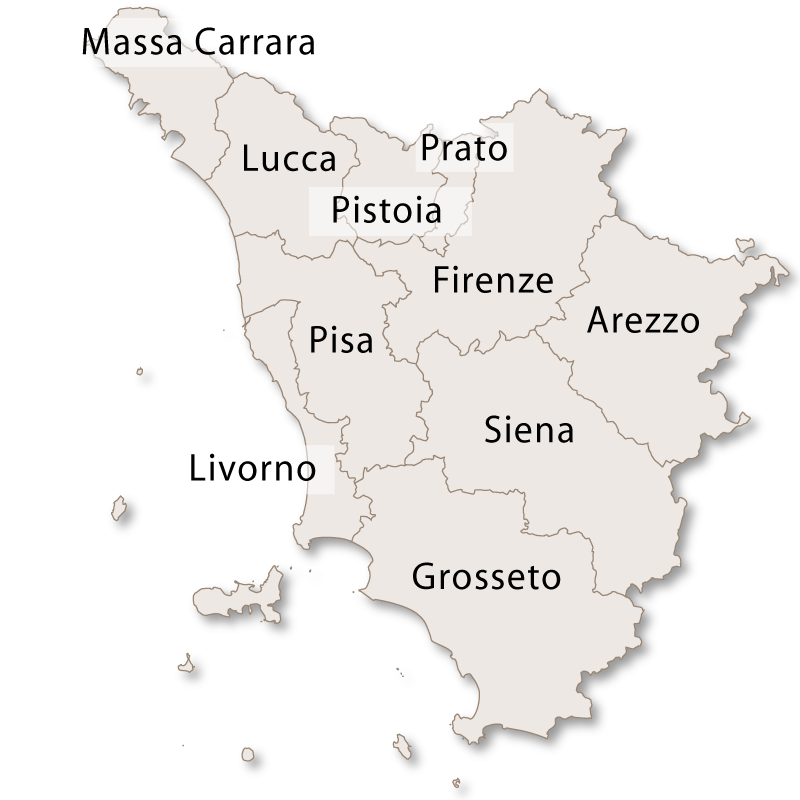 This small town has evidence of Etruscan, Roman and Lombard settlements with a 5th century BC Etruscan necropolis having been excavated nearby and the remains of Roman baths and mosaic pavement unearthed in the town centre in 1898. Within the town there is the Basilica of Sant'Agata which is an 11th century Romansesque church with a 13th century bell tower. Roughly 10 kilometres to the south of Asciano is the stunning Abbey of Monte Oliveto Maggiore which was founded in 1313 and for many centuries it was one of the largest land owners in the province of Siena. This very large Benendictine monastery is mostly built from red brick which makes it stand out against the grey, sandy soil and the dark green of the foliage in the background. 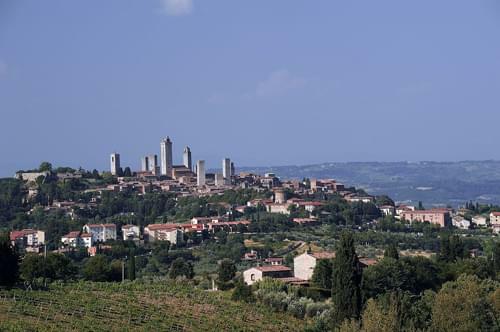 Nestled in a valley among the Chianti Hills, Castellina in Chianti dates back to the Etruscan age. 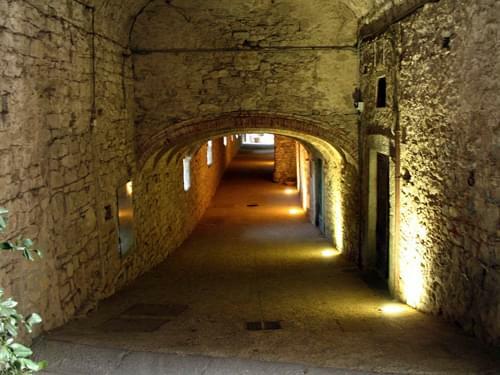 The original walls of the town have been almost demolished but are still visible in the north where there is a well preserved section of basement which is now an underground walkway called Via delle Volte. The large Castle (Rocca) which has 14th century tower and houses a small Etruscan museum. The Church of San Salvatore. The Church of San Giorgio alla Piazza. Just outside the town there is a small hillock called Montecalvario Mound which has 7th and 6th century BC tombs. There are many health resorts and spas in Italy and the ones here are considered to be among the best. The water here is reputed to cleanse the liver and also help those with respiratory problems. Some of the bigger spas here are Acqua Fucoli, Acqua Santa, Acqua Santissima and Acqua Sant'Elena with water that can treat kidney and urinary tract problems. Here you can find 'The Etruscan Museum of Chiusi' which is one of the most important archives of Etruscan remains in Italy. 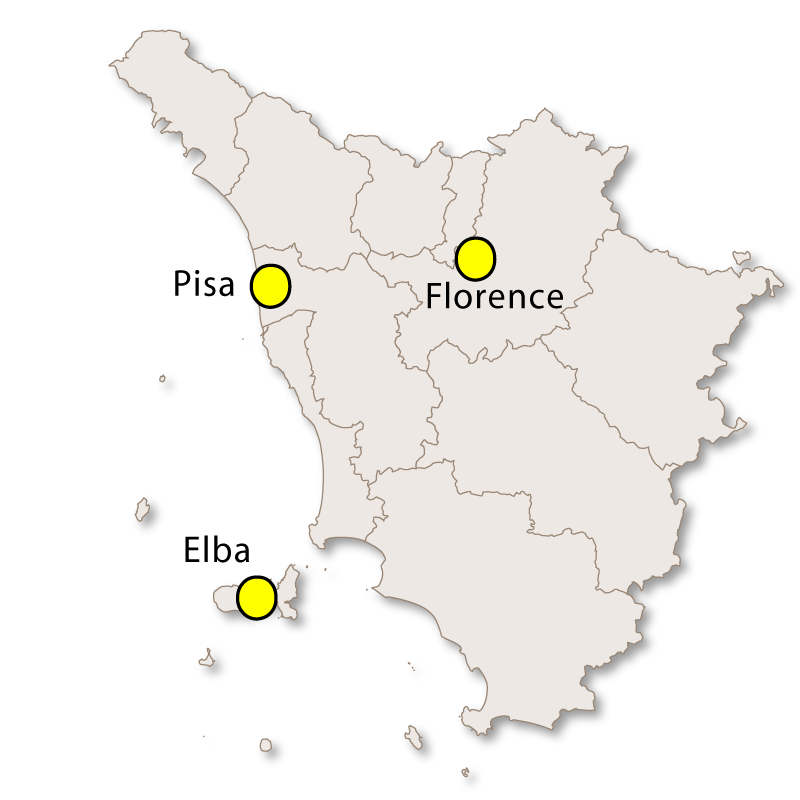 The lowlands all around the town are also dotted with Etruscan tombs. 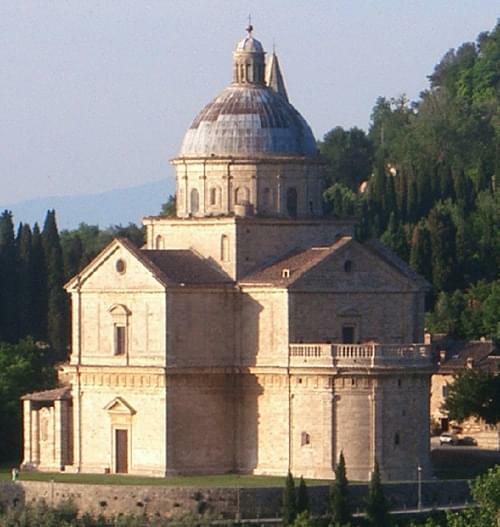 Other sights include: Cathedral of San Secondiano which was built in 560 AD and renovated in the 13th century. It was built in the Romanesque style and has a separate bell tower which was later (1585) turned into a defence tower. Underneather this tower there is a Roman swimming pool which dates back to the 1st century BC. The Labyrinth of Porsenna which is the name given to the maze of tunnels which run underneath the town. They were constructed in the 6th and 5th centuries BC as a form of drainage for rain water. 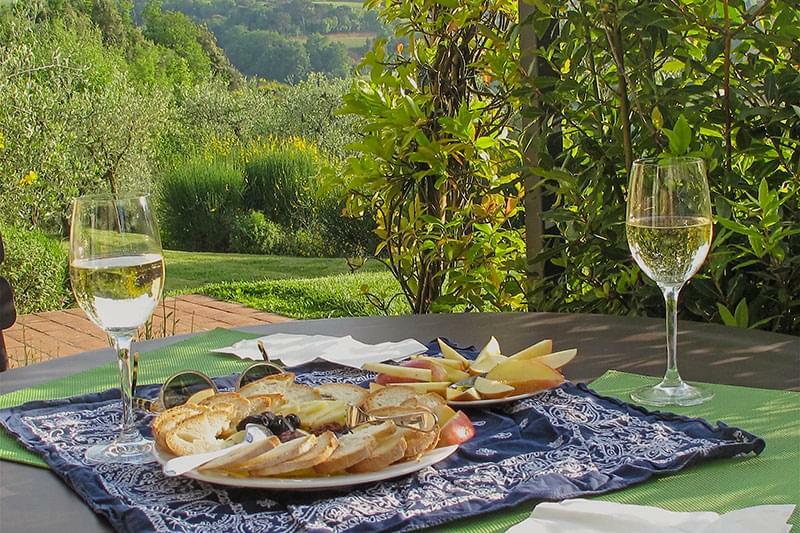 Placed by the American magazine 'Forbes' at the number one position in their list of 'Europe's Most Idyllic Places to Live', Gaiole in Chianti is certainly worth a visit. The Castle of Brolio, built in the 11th century. Castello di Tornano which is a castle and vineyard. Pieve of San Marcellino, originally built in medieval times but was was mostly rebuilt in the 14th century. Pieve of San Polo Rosso, contructed in the 12th century but became part of a defensive structure in the 14th century. Pieve of San Giusto in Salcio. Pieve of Santa Maria a Spaltenna, built in the Romanesque style in the 11th century. Pieve of San Bartolomeo a Vertine, built in the 11th century. A pretty hilltop village with a lovely medieval historic centre full of well preserved buildings. The central square is Piazza della Principessa Margherita which has the late 13th century Palazzo Comunale with a very high medieval tower and a Renaissance building with arches called La Loggia. The other main interesting sights are: The medieval walls which were built in the 13th century. The Fortress, built in 1361 on the highest point of the town and famous for the fact that the town was seized but the fortress was never conquered. The Cathedral was built in the 14th century but had extensive renovations in the 19th century leaving it with the current neo-classical appearance. The Church of San Francesco, built in the 13th century but has undergone many renovations over the years. The centre of this town has a car free policy and the streets are walker friendly with the main street stretching for 1.5 kilometres. The walls surrounding the town were constructed during the 14th century. 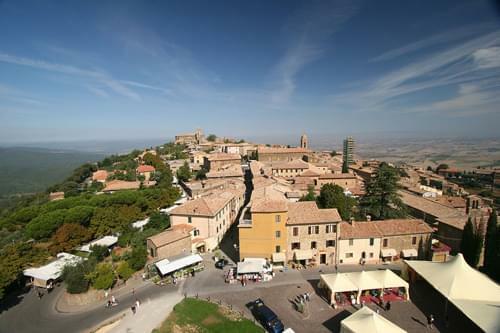 Montepulciano is a major producer of food and drink and is well known in Italy for its pork, cheese, pasta, lentils and honey. 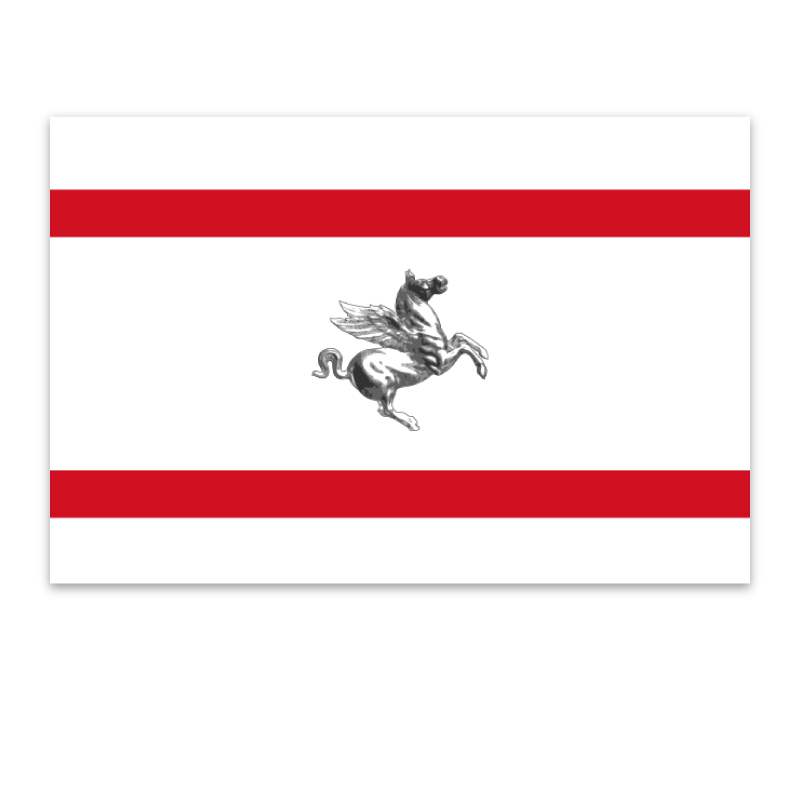 It is known world wide for its Montepuciano wines and the Vino Nobile is considered to be one of the best in Italy. The Cathedral of Santa Maria Assunta, constructed between 1594 and 1680. The church of Santa Maria delle Grazie, built in the late 16th century. Santa Lucia is a Baroque church. 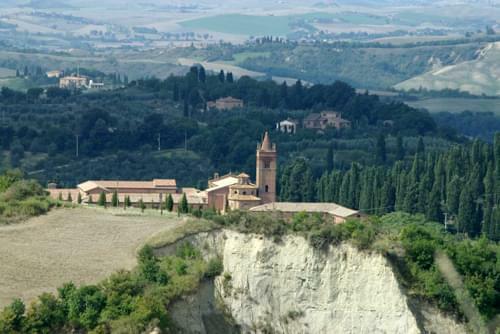 Just outside the town is the Sanctuary of the Madonna di San Biagio which was built in the mid 16th century. It is circular with a large dome and has two bell towers. Monteriggioni is a medieval walled town sitting on top of a natural hillock. The early 13th century town walls, which are almost circular, roughly follow the natural contours of the hill and are around 570 metres in length. 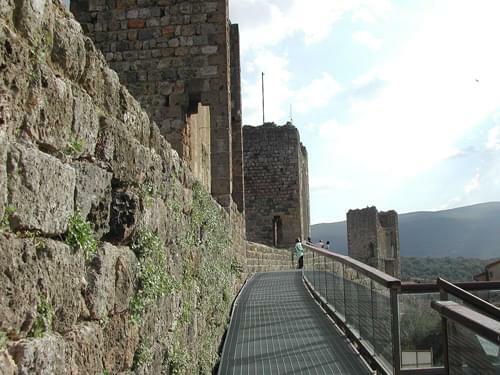 There are fourteen towers spread out evenly around the walls and two gates. Porta Fiorentina faces north and opens towards Florence and Porta Romana faces south and opens towards Rome. A straight road runs through the city from one gate to the other. The main square is Piazza Roma which is dominated by a Romanesque church. The rest of the square is flanked by Renaissance style houses which were once owned by nobles and wealthy merchants. 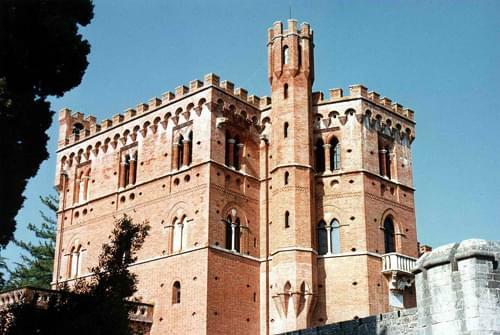 The Palazzo Pretorio, built in the late 13th century and with an attached tower, the Torre del Podestà. The Church of San Lorenzo, built in the Gothic-Romanesque style. On a hill near the town is the Basilica of San Lucchese which is a large Gothic church, built around 1252.